Just hours after returning from his Horizons mission on board the International Space Station, ESA astronaut Alexander Gerst gives a short interview at the German Aerospace Centre’s :envihab facility in Cologne, Germany. Alexander returned to Earth alongside crew mates Serena Auñón-Chancellor and Sergei Prokopyev on 20 December 2018 in the same Soyuz MS-09 spacecraft that flew them to the Station on 6 June 2018. 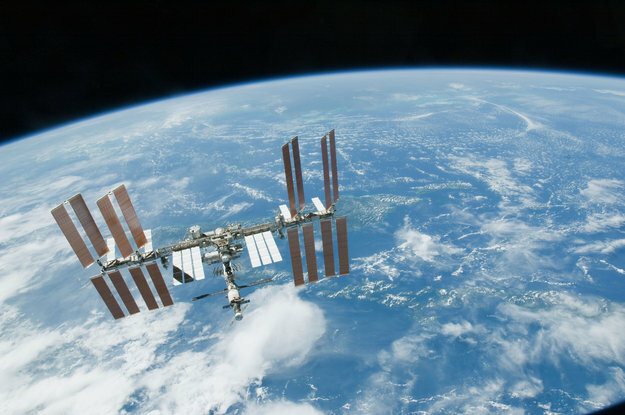 The trio’s landing in the Kazakh steppe marked the successful conclusion of over six months in space during which Alexander conducted over 60 European experiments, became the second ever European commander of the International Space Station, welcomed six resupply vehicles, installed the first commercial facility for research in the Columbus laboratory, delivered an important message on climate change for leaders at the COP24 climate change conference, captured real-time footage of a Soyuz launch abort and much, much more. Horizons was Alexander’s second mission to the International Space Station – the first was Blue Dot in 2014. He has now spent 363 full non-consecutive days in space (he returned home on his 364th day). Now back in Cologne, Alexander will take his time to readapt to Earth’s gravity supported by ESA’s team of space medicine experts. He will also continue to provide ground-based data for researchers to support experiments performed in space. Read more about the science campaign on Earth in this previous entry. Alexander will speak to media during an hour-long press conference at ESA’s European Astronaut Centre in Cologne, Germany on Saturday 22 December. Tune in to watch the live stream from 10:15 GMT (11:15 CET).